What a 'jem' of an engine. Based on the hard wearing and proven Enya SS15. This engine is ballraced. Being a Diesel, very small quantities of fuel are used and much larger props than a normal 15 size engine can be used. 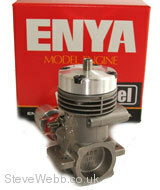 We are already finding this engine popular with collectors and the vintage R/C and control line community. 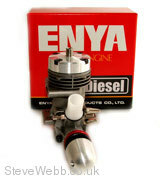 The latest engines from Enya !